Every woman – since they were young – has wanted to wear earrings. There is something dressy about wearing them. Mine stay on 24/7 with changes here and there depending on the clothing I wear and where I am going. 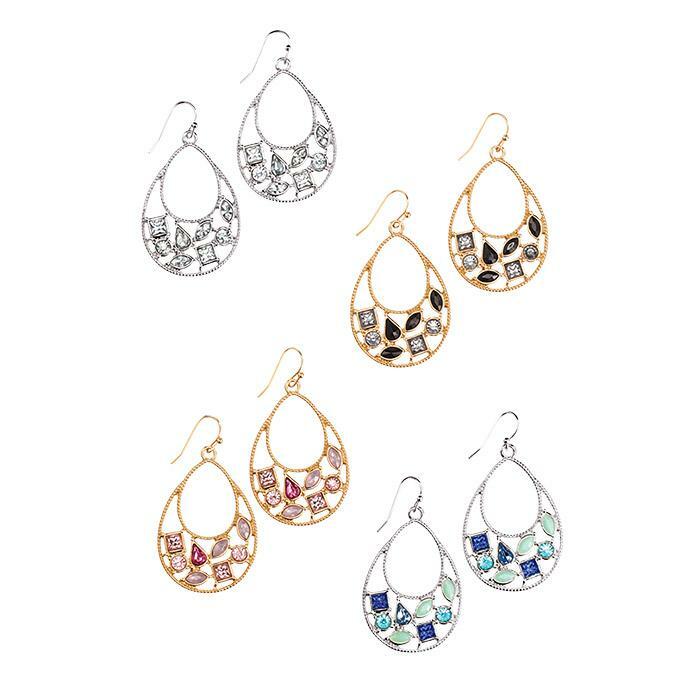 This picture does not do them any justice so if you would like a clearer picture go straight to my site https://www.avon.com/product/rare-elements-teardrop-earrings-57568?rep=ashapiro and check out a great deal (2 for $22) They are Lightweight but with loads of sparkle! Dazzle in a pair of Rare Elements earrings. The teardrop pair beautifully showcases various shaped faux-stones. I sold a blue and a clear – but they also come in black and rose stone. Dont forget to click on the special offer to get that great price! This entry was posted on March 21, 2017, in Avon and tagged #AvonRep, #bbloggers, #earrings, #gold, #jewelry. my thoughts have been on my blog. Work and family has kept me busy plus selling Avon after work and weekends has kept me from my blog. Apparently things are going well and the orders are coming in. Right now I am also running a giveaway on another blog that I do. If all goes well, I will doing one right here on WordPress. But thats for a later time. Today I am interested in telling you all about this beautiful jewelry just in time for Valentine’s Day – going out for the night with your love? What looks better than tortoiseshell and gold. You can have this beautiful collection at these great prices….not your style? 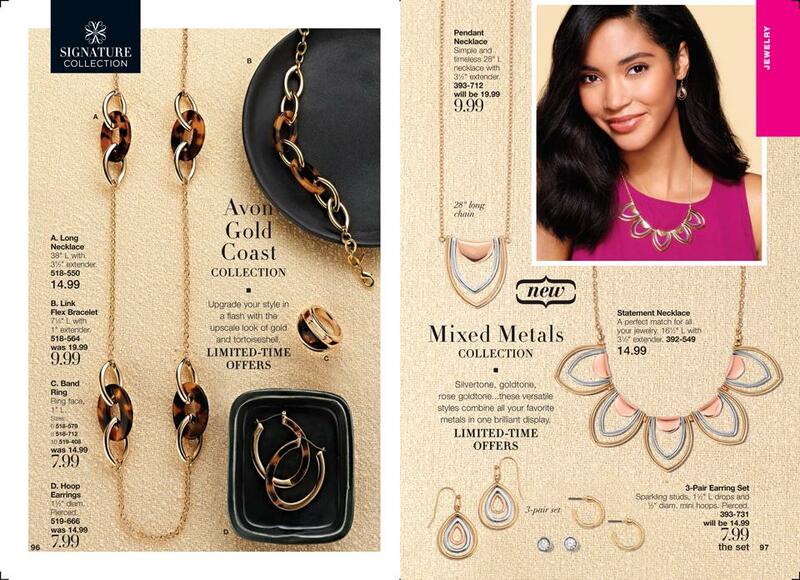 try the mixed metals collection – gold, silver and rose – charming if not beautiful. This entry was posted on January 13, 2017, in Avon and tagged #AvonRep, #bbloggers, #free, #gold, #jewelry, beauty. You are going out for the holidays….it may be to a show, or in the city to see the holiday lights….or maybe to a friends house – to see family? Whatever it is, you will do it within the next two months. Oh wait – how about New Years Eve? Even a house party needs glitter and sparkle…So why not you? 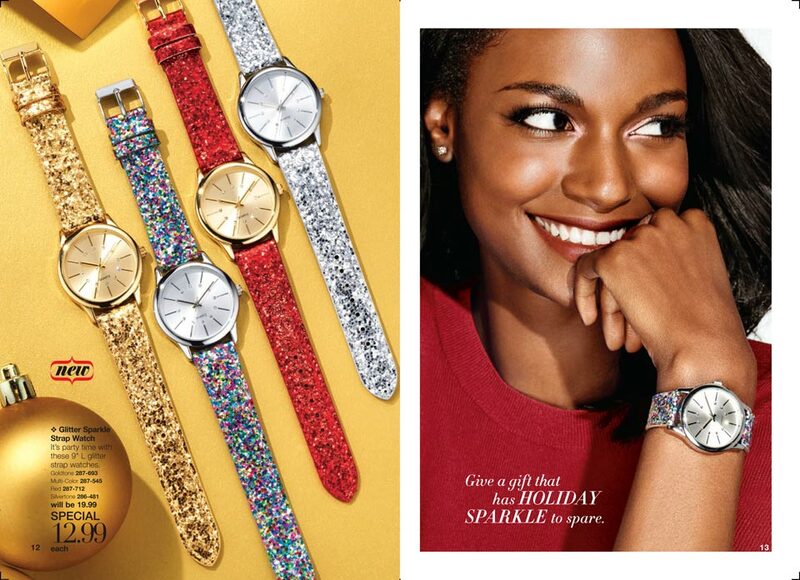 What better way than to wear a Glitter Sparkle Strap Watch?…it’s party time with these 9″ length glitter strap watches. Right now they are only $12.99 each – and wouldnt this make a nice gift? This entry was posted on November 19, 2016, in Avon and tagged #AvonRep, #bbloggers, #Brookyn, #gold, #holiday, #jewelry, family, friends. INITIALS…..we are have them..but how would you like to wear one around your neck? Avon is now offering a personalized gift designed to make someone feel special. The perfect gift for someone who has everything….and its only $6.99 It comes with a 16-1/2 inch chain and 3-1/2 inch extender. Silvertone with rhinestone accents….At this price you can afford to get everyone a gift for the holidays…. Log onto my website at www.youravon.com/ashapiro and start ordering today. This price will not last long – it will go up to $14.99 – so get yours while supplies last. This entry was posted on November 9, 2016, in Avon and tagged #AvonRep, #bbloggers, #Brookyn, #free, #gold, #holiday, #jewelry, beauty, fall. 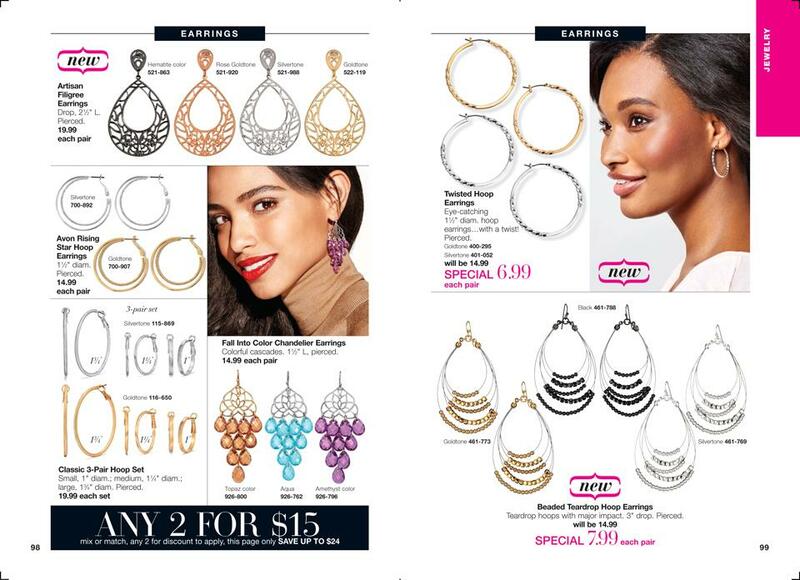 That Avon has jewelry? And you thought they only sold makeup….and you dont use makeup so why look at a book. But Avon is so much more than makeup. Skin creams, and fragrances and deodorant, and clothes, and shoes….But back to jewelry…..Not only is there jewelry beautiful, but it is easy to handle and best of all it is so affordable. This entry was posted on September 26, 2016, in Avon and tagged #bbloggers, #gold, #jewelry, Avon, beauty, fall. Yes we have a collection by the name of Gold Coast and it is waiting for you to pick them up as the Fall starts……. This entry was posted on September 10, 2016, in Avon, Uncategorized and tagged #bbloggers, #gold, #jewelry, Avon, beauty, book, fall, necklaces.